Calgary, Alta. 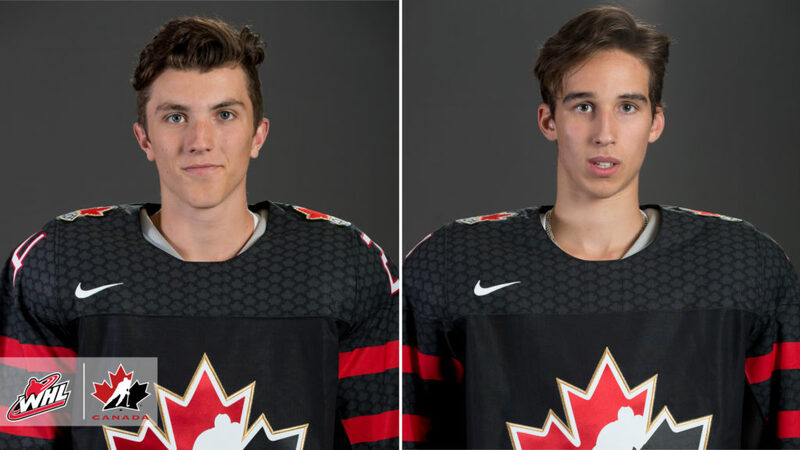 – Hockey Canada has named Winnipeg ICE captain Peyton Krebs and Lethbridge Hurricanes forward Dylan Cozens to the leadership group for Canada’s National Men’s Under-18 Team competing at the 2019 IIHF U18 World Championship in Örnsköldsvik and Umeå, Sweden. Krebs, an Okotoks, Alta. native will lead the team as captain while Cozens, a Whitehorse, Yukon product will serve as an alternate captain. 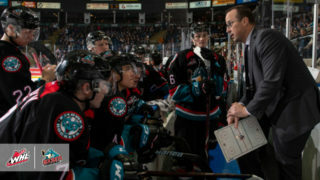 As the first-overall selection in the 2016 Western Hockey League Bantam Draft to the Kootenay ICE, Krebs has surpassed expectations. After leading all rookies in scoring with 54 points (17G-37A) in the 2017-18 WHL Regular Season, Krebs stepped into the captaincy role for the Kootenay ICE in just his second year of his WHL career. 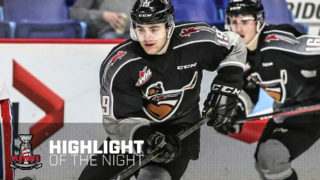 This season, he tallied 68 points (19G-49A), leading his team in points and competed in the 2019 CHL/NHL Top Prospect Game in Red Deer, Alta. Krebs, a 5-foot-11, 180-pound centreman has also been identified by NHL Central Scouting for selection at the 2019 NHL Draft, giving him an eighth-overall ranking among North American skaters on their Midterm Rankings list in January 2019. On pace with Krebs is Cozens, who also had a standout season this year. The 19th overall selection in the 2016 WHL Bantam Draft by the Lethbridge Hurricanes has enjoyed great success in the first two years of his WHL career. 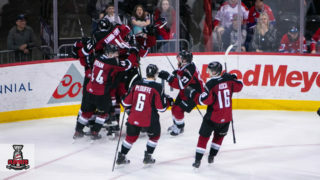 In his first season, Cozens finished as the second-place rookie among all WHL scorers with 53 points (22G-31A) and made a name for himself in the Hurricanes’ lineup. 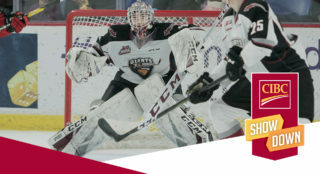 For his efforts, Cozens was awarded the Jim Piggott Memorial Trophy as WHL Rookie of the Year. 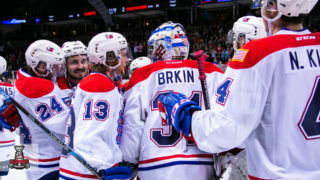 This season, Cozens finished tied for 10th overall among all WHL scorers with 84 points (34G-50A) and also competed as an alternate captain at the 2019 CHL/NHL Top Prospects Game. 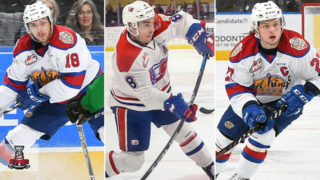 The 6-foot-3, 185-pound centreman has been identified by NHL Central Scouting for selection at the 2019 NHL Draft, giving him a third-overall ranking among North American skaters on their Midterm Rankings list. While this is the first time both players will be travelling abroad to represent Canada, it isn’t the first time they’ve pulled the maple lead over their heads. Both shared recent success at the 2018 Hlinka Gretzky Cup with Team Canada, winning gold over Sweden at Rogers Place in Edmonton, Alta. In Canada’s undefeated run in preliminary, semi-final and final action, both players totaled five points (2G-3A) in five games.